So today’s a pretty big day, huh? I mean, we’re on a National…well International…stage. In my 30-some years in this city I can’t remember a time when I’ve felt like this. Where every tweet, Facebook post, morning news show and public official can feel the Cleveland love. Today’s one of those days that we walk a little taller. We smile a little bigger. We say hi to on another in passing. We high five as we’re walking to and from the Q. It’s the day where we’re not arguing over who we should have kept or traded, or what QB should start. And you know what? We’ve earned this day. We’ve been through some tough days but our brightest days are still ahead of us. 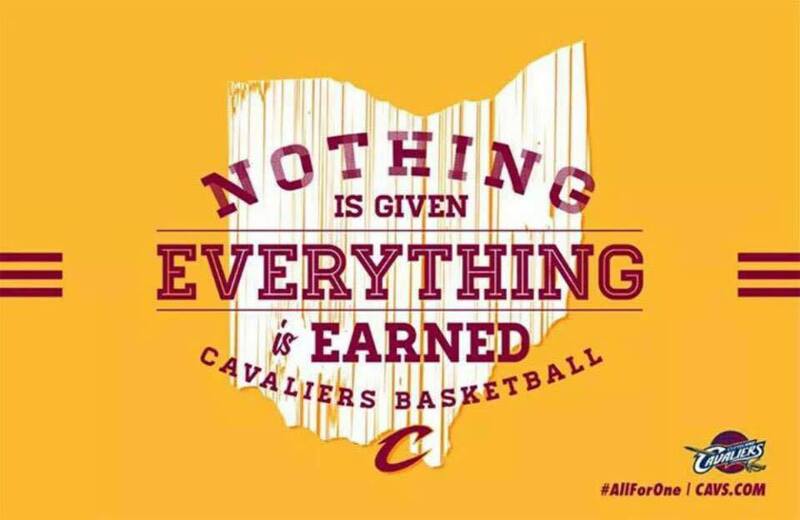 And I don’t just mean in regard to the Cavs record. We’re growing. We’re thriving. We’re tough. We’re gritty. We’re kind. So today, let’s all rise up together. Let’s not just cheer for the Cavs. Let’s cheer for Cleveland. All For One. 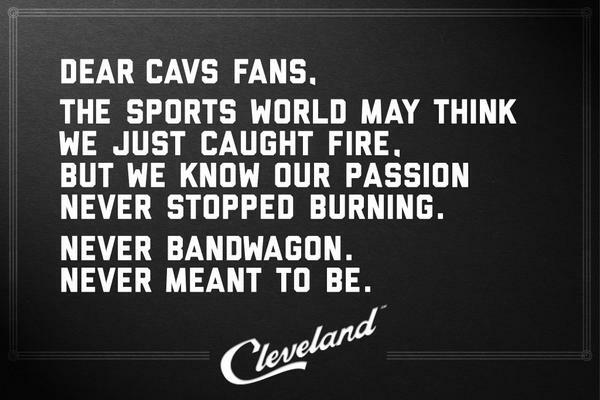 All For CLE. This entry was posted in Uncategorized and tagged CLE Sports, Cleveland Cavs, Cleveland Love, Cleveland Memories, LeBron James, Memories, The CLE, Welcome Home LBJ. Bookmark the permalink.